You need decent equipment. Selfies are great on your cell phone, but your iPhone simply will not cut it in a professional photography business. Starting out you may not be able to afford a higher end camera, many of which can go for several thousands of dollars. It is recommended that you work with a camera, within your budget, that can give the clarity and detail that a couple would expect from a professional photographer. 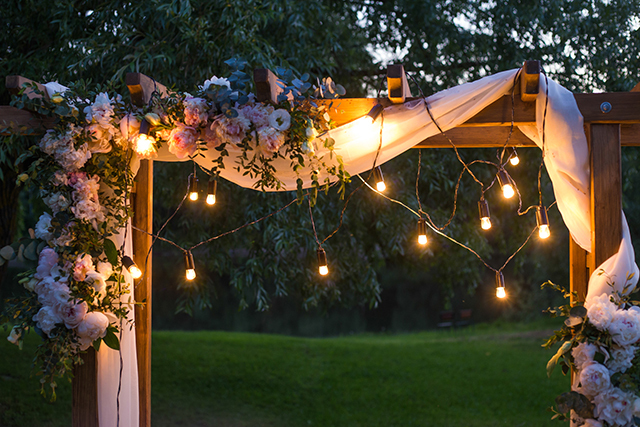 It is also a good idea to invest in lighting and props that can be used if needed. Learn how to use computer programs to touch up professional digital images such as Adobe Photoshop. You can use whatever program you feel comfortable with, of course. Whatever you go with, become a master at using it! Learn about pricing for your services. This can be tricky because you don’t want to be overpriced, neither do you want to undersell your abilities. 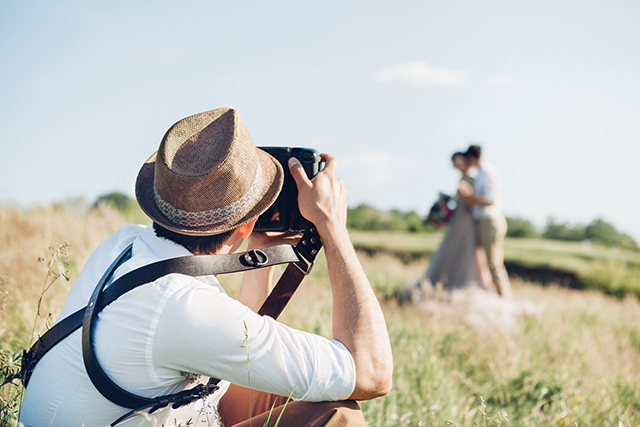 It may be helpful to see what the market rate in your area is for wedding photography and then decide how you will price your services based on the market. The number one thing that will stand out for you is your portfolio. When potential customers can see examples of your work then your skill will speak for itself. Wedding photography is expensive for a reason, it takes a highly skilled individual to make those wedding pictures into wonderful memories for the bride and groom. Show potential clients that you can create those memories for them! Register your business. This might seem like a no-brainer; however, many people don’t treat photography as a business. Your business accounts should be separate from your personal accounts. Also, insurance and any local licenses you may need should be registered to protect your business. Treat this as a business venture if you wish to be treated like a professional wedding photographer. Advertising doesn’t have to be expensive, but it is a necessity. The great thing about social media is that it is free! Set up a business Instagram, Facebook, and LinkedIn to showcase your talents. If you want to invest, many of these platforms allow paid advertising as well. The most important thing to remember as you grow your business is to have fun! Be creative, come up with new settings and ideas for your photo sessions and enjoy celebrating this huge milestone event with your clients! For more information about the photography business or general questions feel free to contact us!